With the Comfrey plants almost reaching tree like proportions, it is well past time for me to be harvesting it. Usually before now I have been harvesting the first cut for making comfrey infusion for the greenhouse but I have been a little lax this year so now I have a huge first harvest instead. Most of the leaves harvested will be used to make comfrey infusion, which basically involved steeping the leaves in a huge bucket of water to make a horrid smelly liquid which the tomatoes love. But comfrey ointment for this years stock will be made with some of the leaves first. 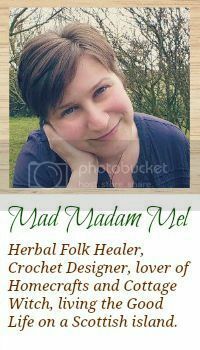 Comfrey has long been used traditionally as a healing plant, and scientific studies show that the plant contains a small molecule called 'allantion' which repairs cells and decreases inflammation making it excellent for skin wounds. 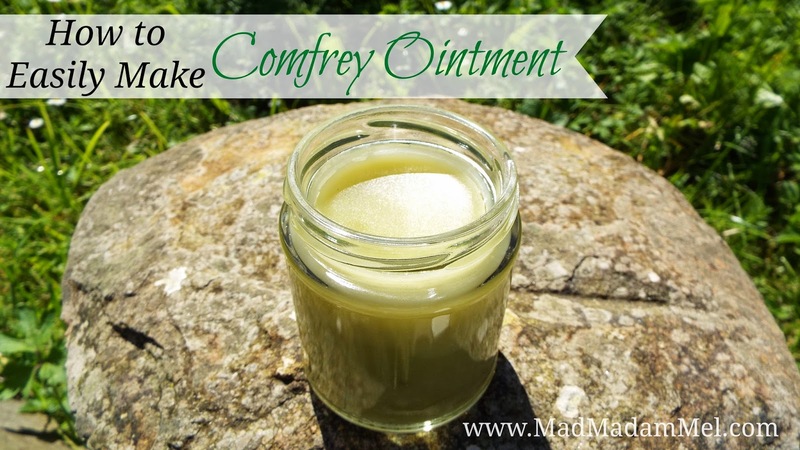 Making comfrey ointment is really easy and one of the quickest I find to make. * Heat very very gently just so that you are getting the oil not quite hot, you do not want to Fry your comfrey (although I have been know to accidentally do this myself). * Turn off the heat and allow to comfrey to infuse in the warm oil for around an hour in a warm place. * Strain your oil through a sieve into a measuring jug squeezing the leaves with the back of a spoon to keep as much of the oil as you can, then allow to stand for another hour in a warm place. * If you are using coconut you are now finished and can carefully pour your ointment into jars or pots leaving any sediment behind in the jug and store in a cool place. 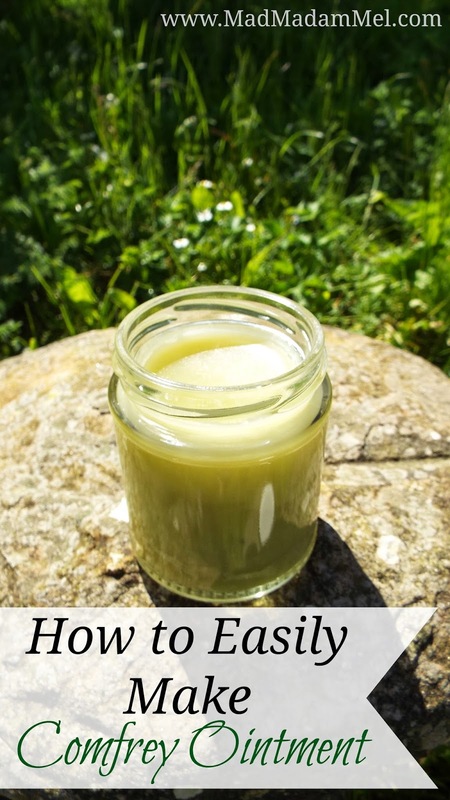 * If you are using beeswax you need to measure how much oil you have before carefully pouring back into your wiped out comfrey pan leaving the sediment behind in the jug. * Add beeswax to your pan using roughly 10grams (½ oz) of beeswax for every 100ml (3 ½ fl oz) of oil, heat gently to melt and mix, then pour into pots or jars. And that's it, easy done in a morning.